Digital Keyboards vs Digital Pianos - which one is better to learn on? Both digital keyboards and digital pianos are fun instruments to play but there are some notable differences that are important to know about so I have done a comparison report here for you to understand this important subject better. Regular acoustic piano has 88 rectangular black & white keys that are "weighted" (feel heavier to push) and move up & down in a fluid motion when played. 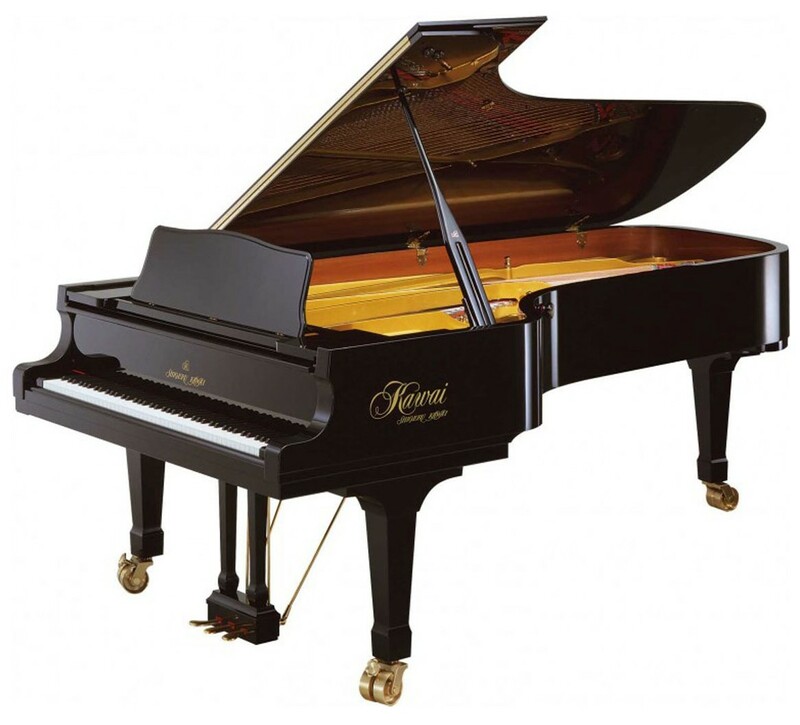 A regular acoustic piano also produces a piano tone when piano "hammers" inside the piano strike the strings which then creates vibrations which are amplified by the wooden soundboard in the piano. And finally, a regular piano has 3 pedals which are accessed by the player's foot (the right one is the most important) and activate functions generally designed to make the music sound smoother with sustain lingering sound and/or softer volume. That's the simple explanation of an acoustic piano. Although all regular acoustic piano brands & types differ slightly in their touch & tone, they usually have similar characteristics in the way they operate and behave. A DIGITAL PIANO, in the strictest sense, tries to duplicate how an acoustic piano behaves as well as how it feels and sounds. They can be lighter weight and portable, or come in heavier grand and upright looking cabinets that resemble the look of an acoustic piano. 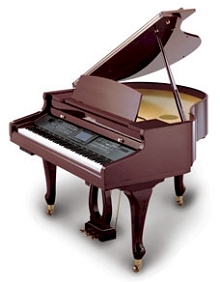 Most of the basic digital pianos not only have regular acoustic piano tones, but they also have anywhere from 6-1000 or more additional instrument tones as well. So the normal definition of a digital piano is an 88-key instrument (portable or stationary) that tries to duplicate the key weight, key-touch, sound, pedaling, & function of an acoustic piano. A KEYBOARD, on the other hand, is missing one or more of those features. It may sound like an acoustic piano, but not feel like one at all. Or it may feel like an acoustic piano, but not sound like one at all. Or it may feel & sound and operate like a digital piano but not have 88 black & white keys (maybe just 49, 61, 73, or 76). I have also played keyboards that appear to be a digital piano because it had 88 piano style keys but the keys weren't weighted (just light & quick spring movement) and the sound was not a good piano sound. So that wouldn't qualify in the traditional way. 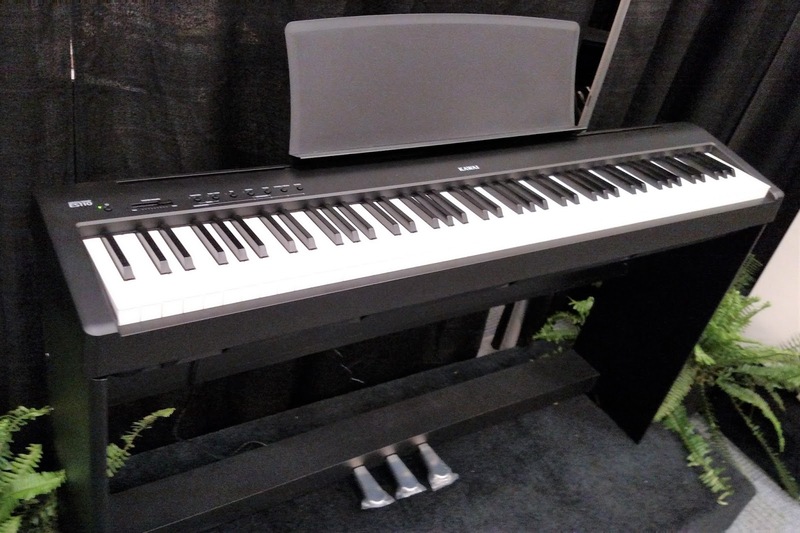 Owning a digital piano with 88 keys that are realistically weighted and move up & down correctly (as compared to a good real acoustic piano) is really what you should have if at all possible, especially if you have piano students in your home. Generally speaking, most mainstream digital keyboards these days try to duplicate the sound of a regular piano (more or less), but they normally have either 61 or 76 light weight modified piano keys that do not move or react like piano keys. In other words, it's like typing on a virtual keyboard (such as an iPod) as opposed to a regular keyboard attached to your computer. It just doesn't feel right and piano teachers generally do not like them because their touch response cannot duplicate piano music very well (I would agree). However, they do have lots of other sounds and features that can be fun to use. I will say that when it comes to beginning piano students (especially young ones) who have never played before, spending around $200 or so on a keyboard to start off with is certainly less costly than spending a lot more money on a good digital piano, so that's a big consideration. However, playing a non-weighted spring action keyboard, when the goal is to learn to play the piano, can create problems especially for the younger player. They can develop bad technique and playing habits on lightweight keys if allowed to play them for too long of a time (months or years), so if you are going to be using a keyboard for practice, don't do it for very long, especially if the student is taking piano lessons. Get into a good weighted touch digital piano as soon as possible, especially if you (the student) are progressing in your playing ability. Sophisticated, technologically advanced keyboards that focus primarily on accompaniment chord styles & rhythms are called arranger keyboards." They are used by people who want to sound like a "one man band" or by musicians for playing "gigs" without the need for other players being there. 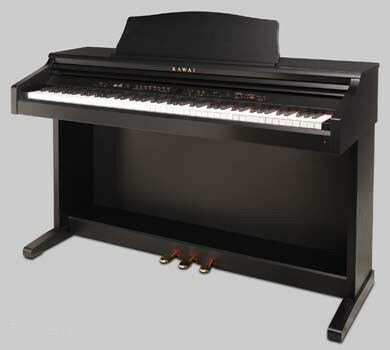 They normally come in either the 61 or 76 key versions (although mostly 61-key in the US), and arranger keyboards work best with "unweighted" or only slightly weighted keys because of the need to use other instruments sounds and music styles with drum patterns while playing the keyboard. All the major keyboard manufacturers make "arranger keyboards" and not only are they popular in the US, they are especially popular in Europe. Actually, pro arranger keyboards are my favorite type of "keyboard" and I have played literally hundreds of them over the years for home and professional use. Typically, the cost of these keyboards range from approx $1000 to $5000 depending on what you like and what you need. Synthesizers (aka: synths or workstations) are digital "keyboards" and can have 37, 49, 61, 76, or 88 keys (synth keys are lightweight keys with spring action and are not the same as a piano weighted key) and are used primarily used to play contemporary music as well as modifying the tones that are already in that keyboard. 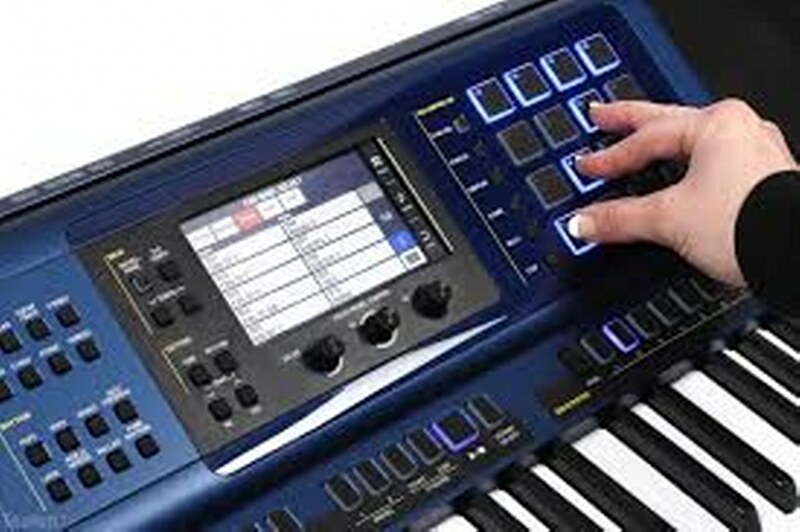 They are used by musicians who like to adjust and change many functions on the keyboards as well as do multitrack recording and real time sound looping and performance. There are also keyboards called samplers and controllers that have specialized uses for certain types of pro applications. Typically synthesizers do not have built-in speakers because they are primarily used on stage or in places where you connect to an external sound system. There are some 88-keydigital pianos that are also synthesizers and sound & feel more like a piano (although some do not), and they do SO much more than a regular digital piano that they are generally not referred to as a digital piano, but a "piano synthesizer" or "workstation." Like I said, these definitions can be a bit confusing and overlapping. So a Digital Piano tries to duplicate what a regular piano does and some do it very well! 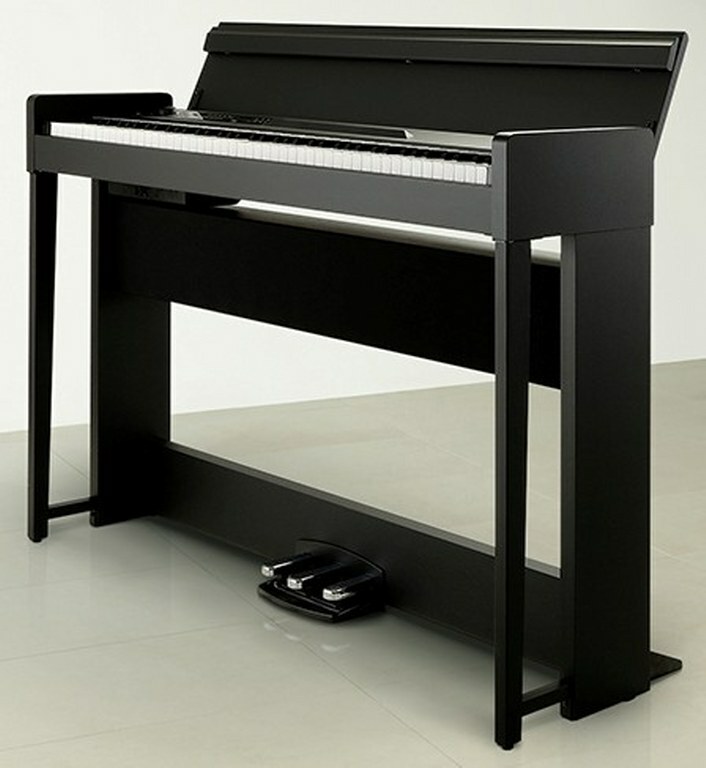 The home portable & cabinet digital pianos that also have lots of extra functions & features incl drums, chord styles, recording, etc., are still be called "digital pianos" but they can also be called "ensemble digital pianos" because they have fun accompaniment features and do so many more things to enhance the piano playing experience. 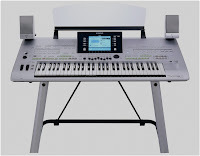 Most of the major keyboard/digital piano manufacturers these days make keyboards & synthesizers and some of the popular higher priced ones are the Yamaha CP4, Yamaha Tyros 5, Kawai MP7, Korg Kronos, and the Roland RD2000. 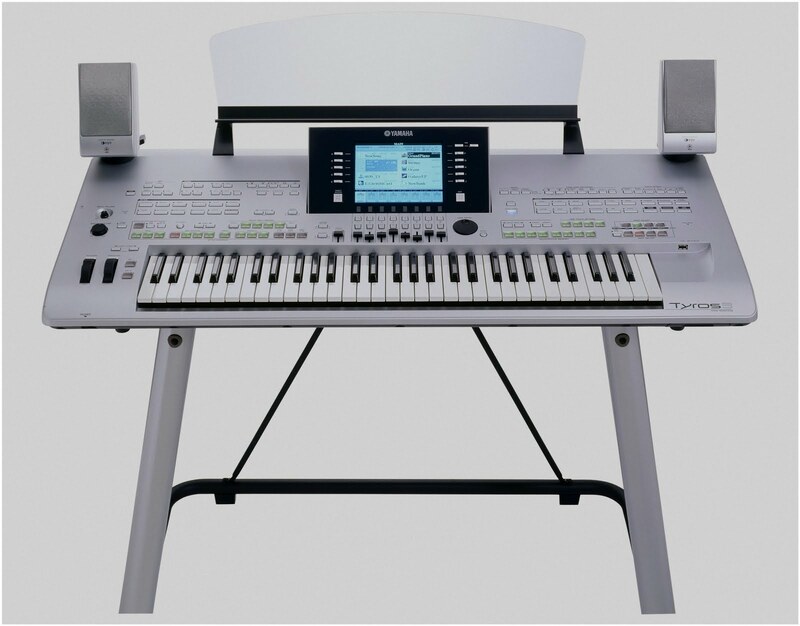 On the lower end of the keyboard price range are very nice technologically advanced models from Yamaha Casio such as the PSR and MZX series. You can also get beginner keyboards for under $100 from Yamaha & Casio which are good for young children or even adults just to have fun and/or learn some basics. If you want more info or advice on which model might be best for you or how to get one of these instruments for LESS MONEY than store or internet discount prices, please contact me at tim@azpianowholesale.com or call direct at 602-571-1864 (if you live in the US). I am quite a beginner in learning piano, i want to enjoy music and planning to learn piano seriously. I want to know what is the low priced digital piano best for enjoyment and sound quality. i am more into classical music such as Mozart and i take classical seriously but i can't afford to buy a real piano or grand piano. I've seen alot of Yamaha digital piano like Clavinova and they all sound good, but i can't decide which one of them really produce good sound quality or perfect tones. Your advice on playing on digital piano first before getting into keyboard is really helpful :D for beginners like me. I started on keyboard and it really not turn well. I wanted to start all over again with digital piano. This is a very good blog on piano review. I'm so glad that i found it. Thanks for these descriptions, very helpful. I've pretty much had a keyboard my whole life (play casually, never had lessons but consider myself pretty decent) but would like to get into it a bit more and hopefully start our daughter playing as well. Will definitely upgrade to a digital piano now. Do digital pianos also produce sound according to how hard or softly we press a key like in an acoustic piano! yes, and some digital pianos do that kind of thing better and more realistically than others. Useful to me, thank you for allowing me to figure out the difference between these piano, the choice of which I know the piano. Great explanations for these subtle differences between digital pianos, keyboards, and synthesizers. 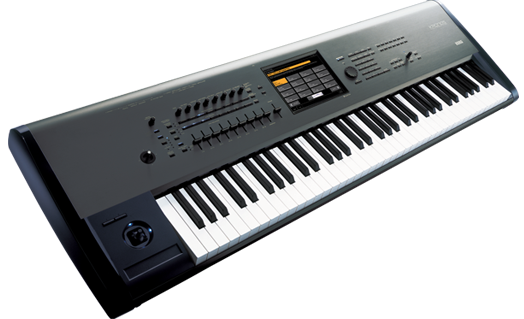 Personally, in terms of replicating the feel of a real piano keyboard, I found that the Roland fantom x 8, a synthesizer, to feel better than that of any digital piano I played on.